A beautiful womens low heel pump by Irregular Choice. Classically ladylike, the Irregular Choice Sulu are the perfect low heel shoe to keep your feet both classy and comfy as you dance the night away. 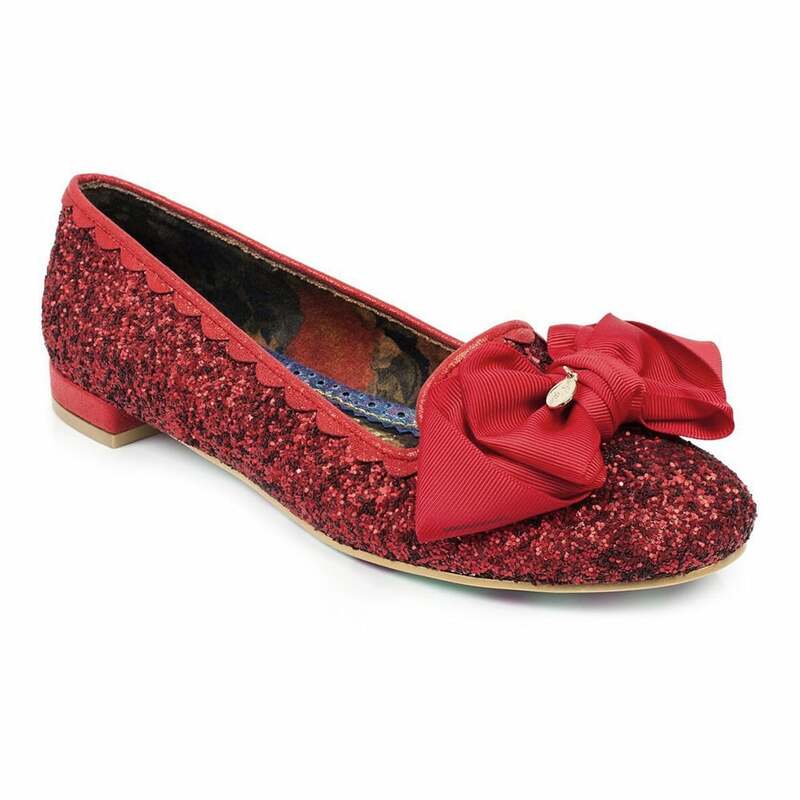 With red glitter fabric and a gorgeous grosgrain bow decorating the toe, this pair will sparkle their way in to your heart. These pretty low pumps are a sparkling sensation! Get your Irregular Choice Sulu 4329-33A Womens Low Heel Pumps at Scorpio Shoes today... You won't be disappointed!